"I'm not seeing too well," my mom says, and of course she's right. With macular degeneration, all she sees are outlines. "Everything's fuzzy," she says. And with her hearing levels at maybe 25 percent in one ear with her hearing aid, Mom's interaction with the world is limited. 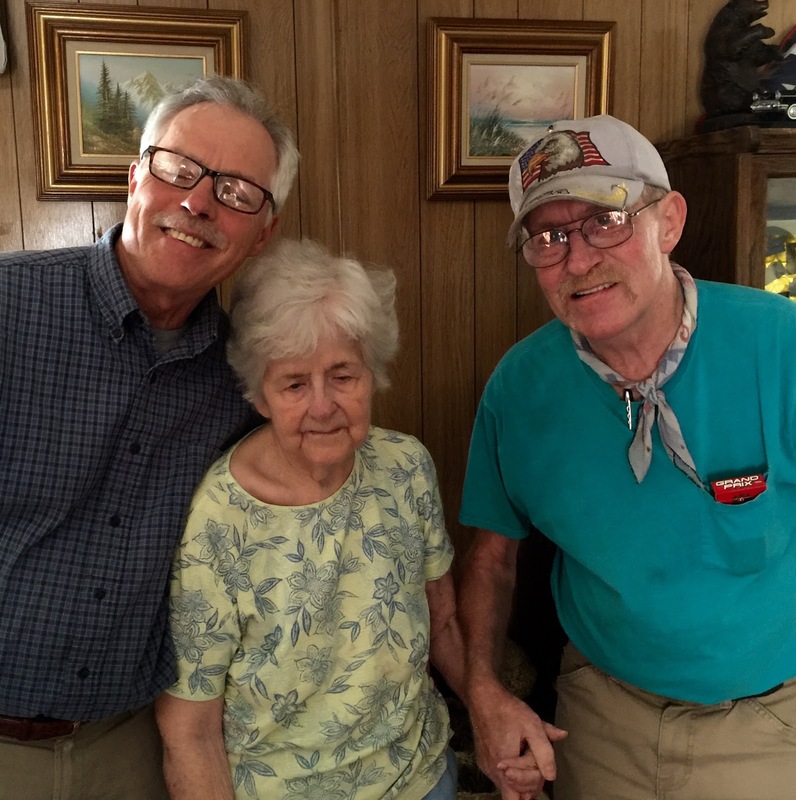 Living in her home, where she is familiar with where everything is, Mom is still able to get by, though, with the help of my brother and with an IHSS county caregiver. She washes and dresses herself, makes her bed, and does some occasional cleaning. "I know where you got your kindness," my wife tells me, and it's true that my mom has maintained her positive attitude even with the limitations she now experiences. This trip to California, my wife Sandy and I both visited my mom and brother. Since both my wife and I have obligations to our families, we have split our time for the past years in order to keep our trips shorter or to have someone at home for our immediate family. Now we are in southern California, where we will visit Sandy's son and her parents. The air quality has been poor with the pollution and smoke from fires. We drove from northern California to the south, catching the orchards, the rice paddies, and the oil fields. We saw an immense solar energy array. We saw clouds of dust from harvest, billowing masses of smoke from horizon to horizon from the forest fires. We saw orchards and orchards of pistachio trees. Now we are heading to the Pacific Ocean, where I will walk on the beach and experience the sea, something I have not done for quite a while. As I left Mom's house, she told me I have a good wife and that she's happy for me. God bless my mom. At ninety-two years old, she still always has something nice to say. You truly are a Blessing Tom.